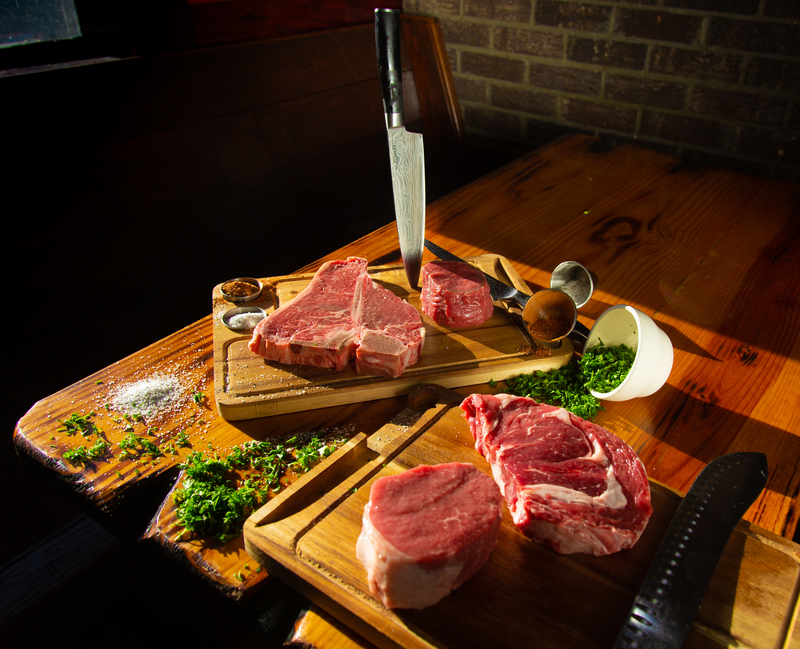 George Ghazaryan opened Angus Steakhouse and Seafood in 2013 in Myrtle Beach. 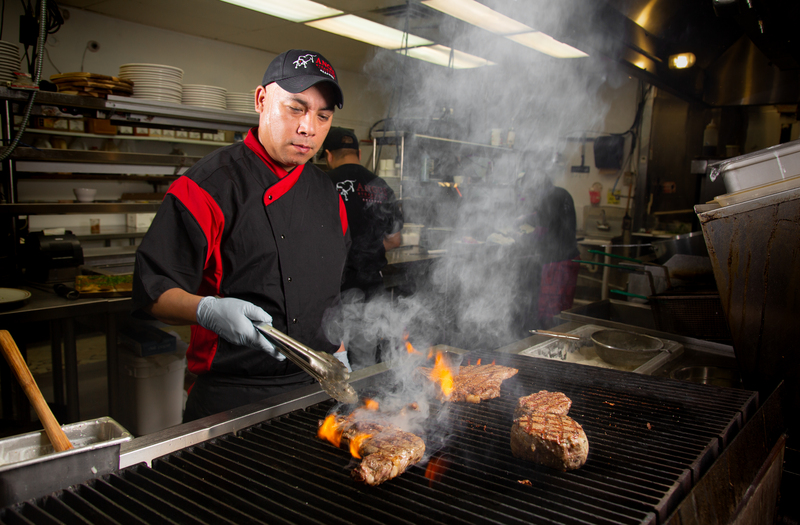 In an interview with the Insider, he reveals the passion, work ethic, commitment, and team effort that made and continue to make Angus Steakhouse and Seafood a success. “I came to this country fifteen years ago after graduating from university,” he says. “And it was like we lived the American Dream. I first worked in New Jersey, Chicago, then Delaware before moving to Myrtle Beach. Every day we worked hard and saved money. 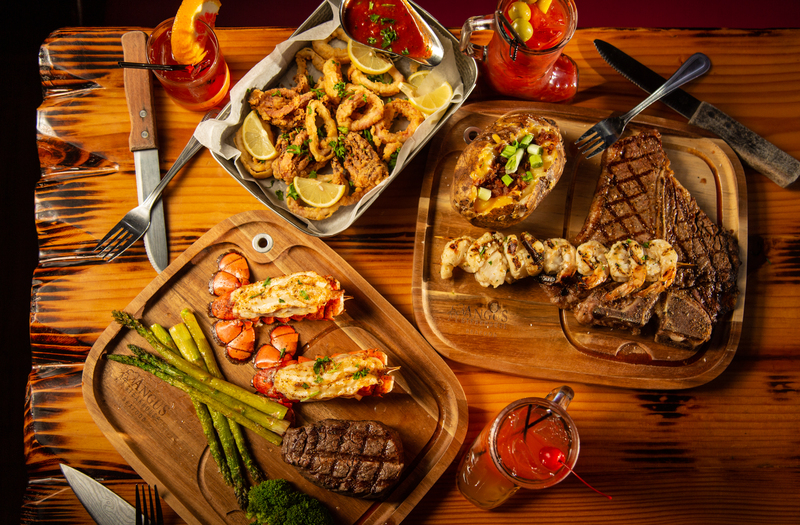 Angus Steakhouse and Seafood serves fire-grilled cuisine with a little bit of a western flair. 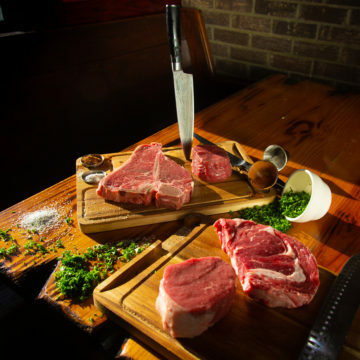 They serve only Angus beef, aged for at l east twenty-eight days; their steaks are all hand-cut in-house. “Most of our seafood is fresh from Virginia,” George says. “But some seafood isn’t available fresh. For example, crab legs are caught in Alaska and precooked on the boat. So we say that we offer fresh when it is possible. We also try to accommodate everybody’s dietary needs. 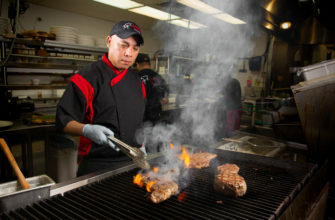 We have vegetarian options, and because the majority of our food comes from the grill, most of it is also gluten free. For George, a positive culture and ownership of one’s job in his restaurant is just as important as the food that he serves. “I always tell my cooks— I’m not asking you to be a five star Michelin chef, but put your heart into this. Hospitality is a huge part of my culture where I am from. Growing up as a kid, it was always the best for guests, family, and friends. Guests were always welcomed into our home, and we gave them the very best that we had to offer. Family and friends would come and they’d tell old stories and new stories, and we’d cook together. George’s philosophy of service and giving from the heart extends to the way he treats his employees, and the culture he has created that everyone works together as a team to help one another. 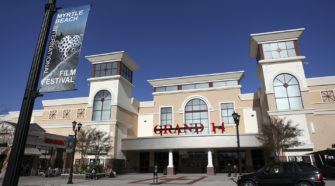 George believes he is in the best place in America, living and working in Myrtle Beach. “People don’t realize how great this place is,” he says. “I have friends and cousins and family all over the United States; I’ve lived all over the United States, and I travel a lot. It is very affordable here. Here, you can get almost the same quality of life, the same resources for raising a family and enjoying a vacation, as many other places that are much more expensive. 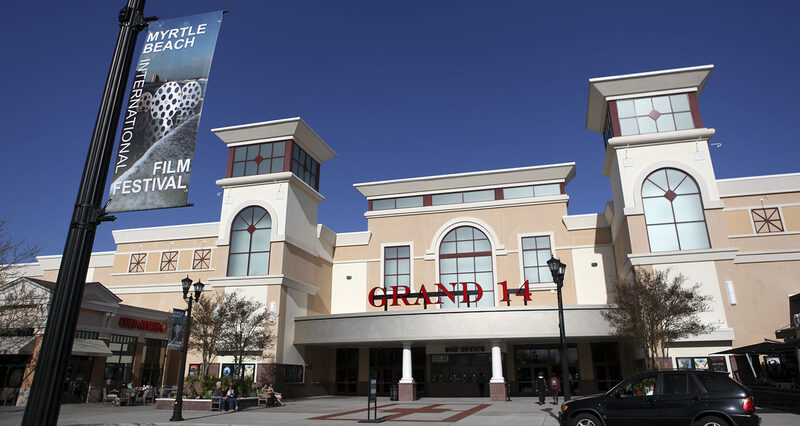 When I compare what you get in Myrtle Beach from starting a business, to other places— here it is so much easier to open a business, work hard, and build something for yourself in your life. “Recently I was in Orlando, and I ate at every steakhouse I could, trying their dinners. The quality is not better than what I serve here, but they are charging probably 30% more. Angus Steakhouse and Seafood, 2011 South Kings Hwy., Myrtle Beach, SC 29577. 843-945-9116. Open daily 3:30pm-10pm. www.angussteakandseafood.com; Facebook @ angussteakhouseandseafood.